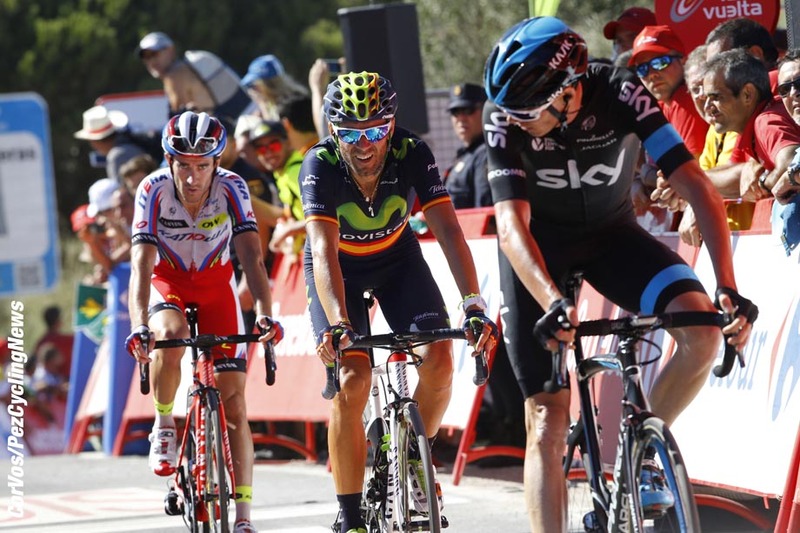 PezCycling News - What's Cool In Road Cycling : Vuelta’15: 1st. Rest Day Round-Up! Vuelta’15: 1st. Rest Day Round-Up! 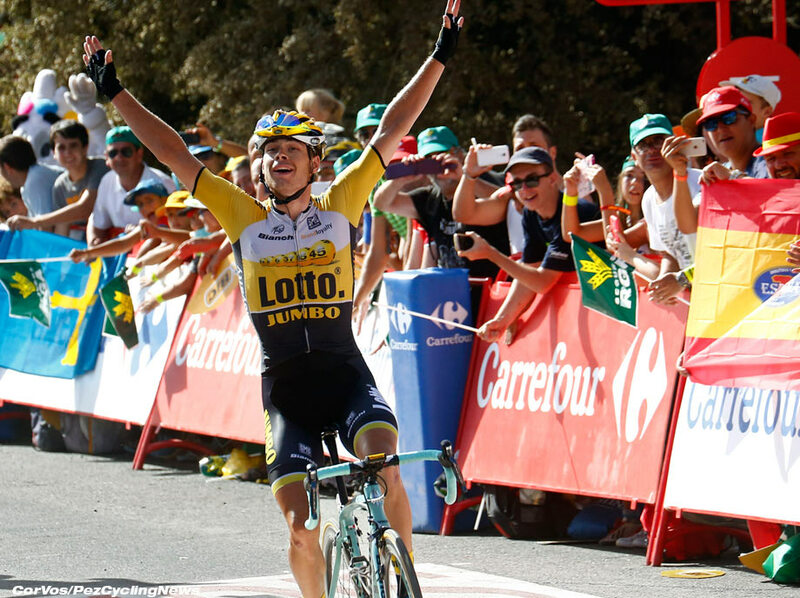 The 2015 Vuelta a España has, as at quite often does, thrown up some surprises and projected more than a few 'young guns' into the limelight and onto the winners podium. 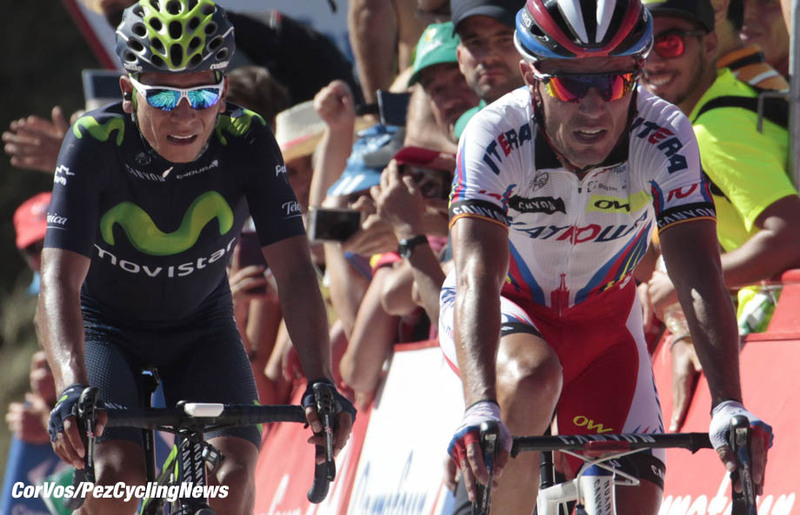 The Spanish Grand Tour has also lost riders who were expected to animate the action and fight for the overall and stage victories. Ed Hood takes a look back at the first ten days and the road to Madrid. 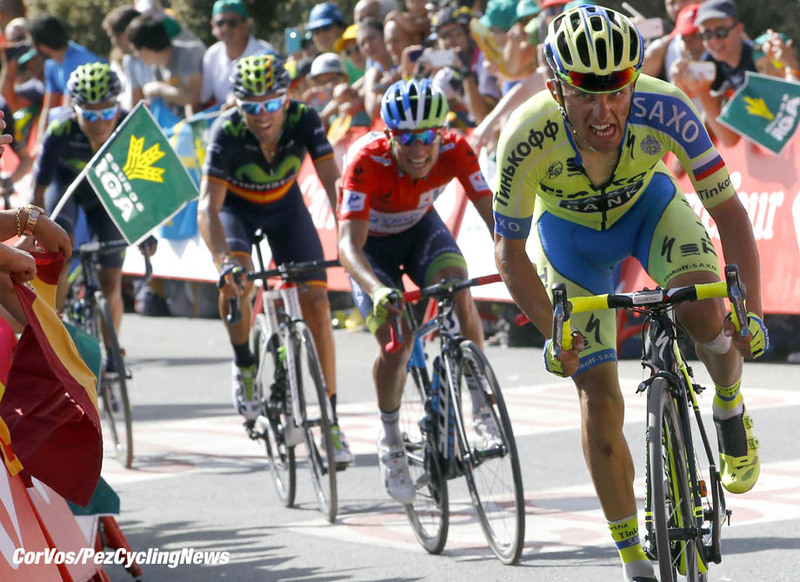 If there’s one thing you can predict about the Vuelta, it’s that it will be unpredictable. On the subject of predictions, let’s take a look back to what our crystal ball said two weeks ago before the show got on the road. Fabio Aru (Astana & Italy) sits sixth @ 1:17 with the mega mountain stages which he loves still to come – he’ll be trying to forget about that nasty long chrono – we predicted a podium and stick with that. Joe Dombrowski (Cannondale-Garmin & USA) in his first Grand Tour he’s 69th @ 52:54 – there will be no problems for him being allowed a ticket to the breakaway and we hope for a big day in the high mountains for him. Chris Froome (Sky & GB) his form has been erratic, dropped, then close to winning a mountain stage he’s eighth @ 1:18 - with the long chrono to come and despite the Tour de France still being in his legs we stick by our prediction that he’ll win this bike race. Mikel Landa (Astana & Spain) 37th @ 26:26 – no worries about leadership in Astana then - with the best that the Giro double stage winner can hope for is a stage win, perhaps? Rafa Majka (Tinkoff-Saxo & Poland) ninth @ 1:47 is still well in the frame and has looked frisky on occasion but the Tour is still there in his legs and tomorrow’s big day around Andorra will tell its own story about last year’s Tour King of the Mountains and all of the others with ambitions to be on that podium in Madrid. 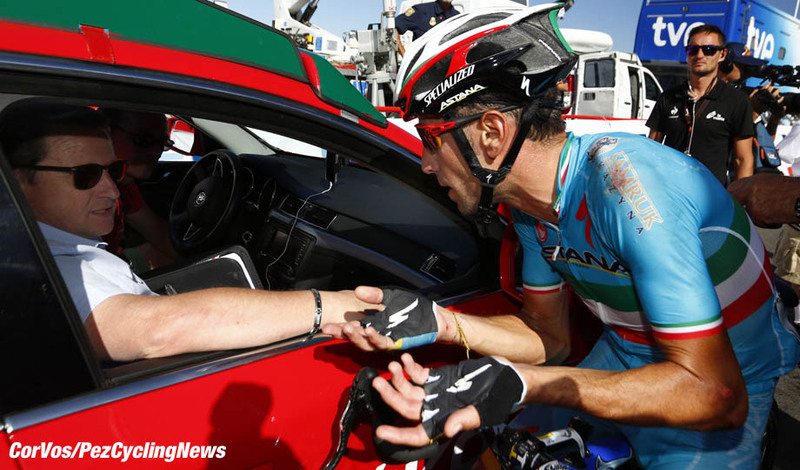 Vincenzo Nibali (Astana & Italy) what was that nonsense I wrote about ‘leadership worries’ for Astana? At least Landa is still in the race and there to chat to at meal times. Not so ‘The Shark’ who was bounced off the race for hanging on to his team car whilst trying to get back on after one of the many crashes – a five minute penalty would have made more sense to us but then we don’t wear UCi blazers. . .
Nairo Quintana (Movistar & Colombia) is seventh @ 1:17 still well there but lacking ‘sparkle’ – will he ride through those heavy legs or did the Tour use up all his pixie dust? Andorra will give good indication. Joaquim Rodriguez (Katusha & Spain) has always been in the frame and occupies second spot @ 0:57; he’ll be one of the few looking forward to Wednesday’s Andorran horror – after all, he helped design the parcours. But that long chrono will be nagging at the back of his mind. 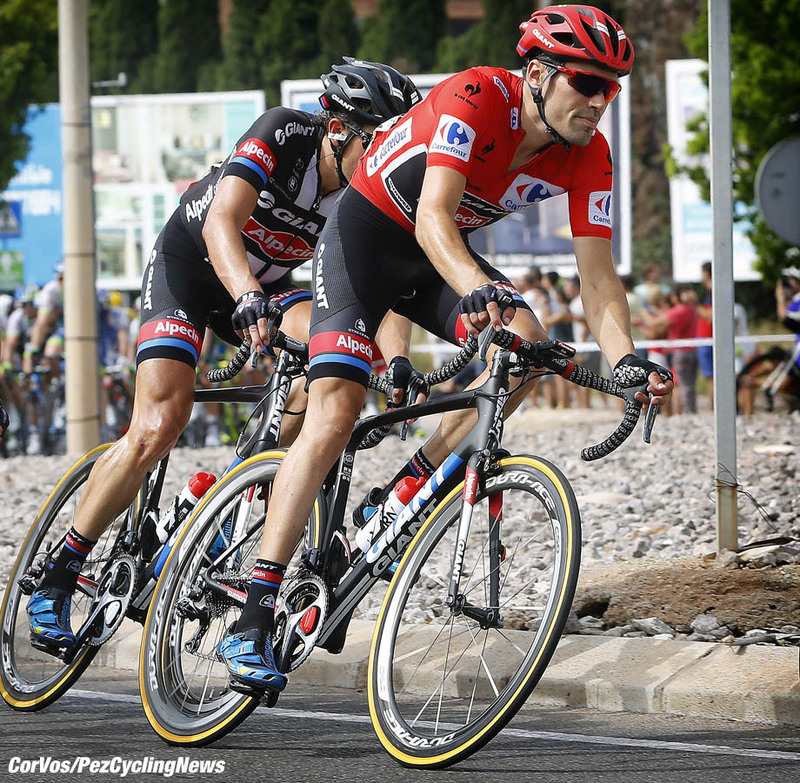 . .
Samuel Sanchez (BMC & Spain) 15th @ 4:04 with Tejay out he has freedom but with the Grande Boucle in his legs. 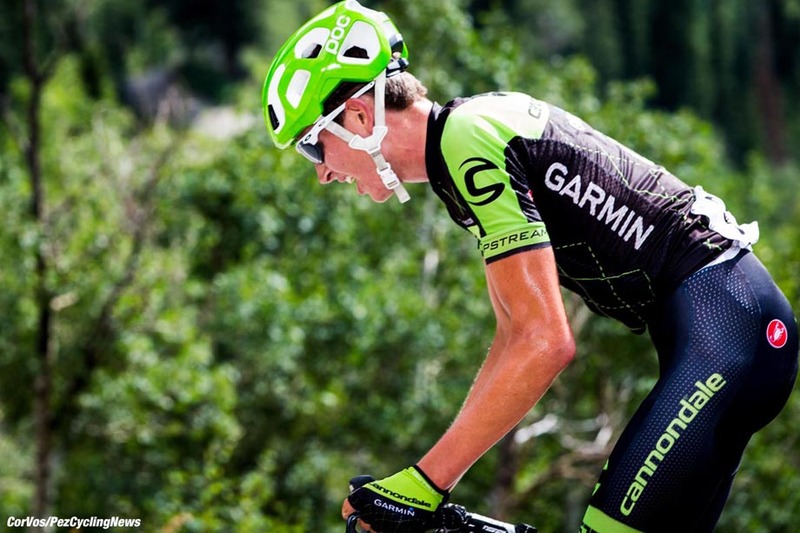 . .
Andrew Talansky (Cannondale-Garmin & USA) @ 1:06:56 in 89th spot is either very tired or making sure he gets in the breakaway – there are plenty of stages left for us to find out. 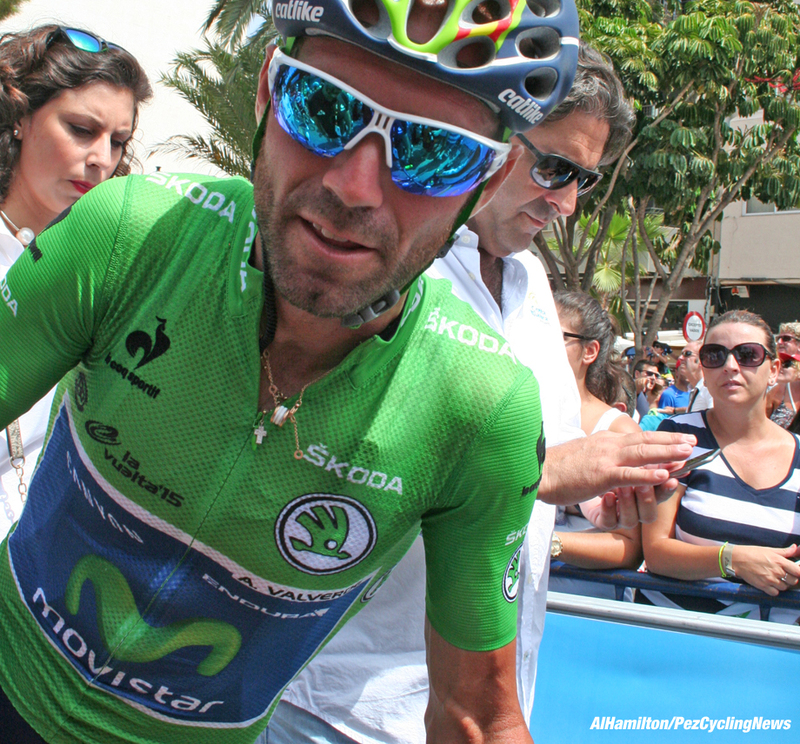 Alejandro Valverde (Movistar & Spain) has already won a stage and sits sixth @ 1:17 confirming his reputation as ‘Mr. 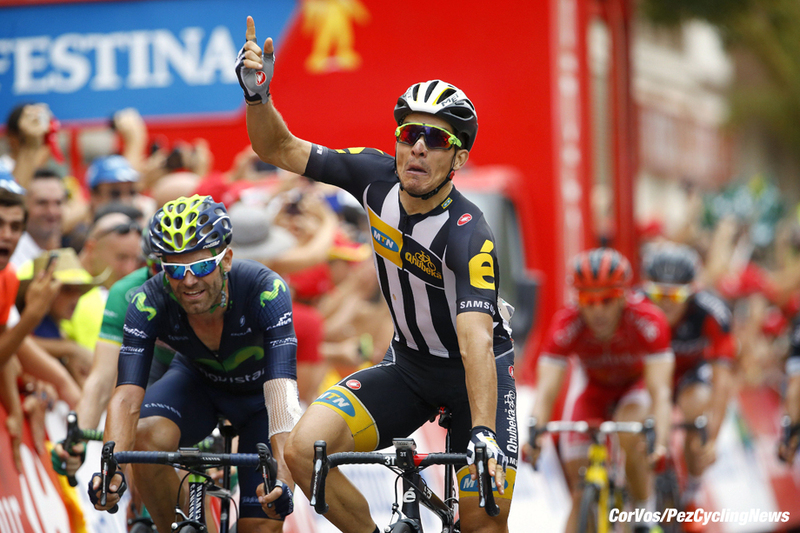 Consistency’ can he make it two Grand Tour podiums in the one season? It’s possible. Tejay van Garderen (BMC & USA) crashed out on the same day as Dan Martin, bookending a miserable season for the tall climber after his having to abandon Le Tour. But what about the guys our crystal ball didn’t mention? Two names have dominated the GC; the tiny, fresh faced smiling Esteban Chaves (Orica-GreenEDGE & Colombia) one of the ‘new wave’ of South Americans reminding us of those ‘Glory Days’ of the 80’s with Florez (RIP), Herrera and Parra. And tall, big-engined Dutch ‘chronoman’ Tom Dumoulin (Giant-Alpecin & The Netherlands) who’s early crashing out of the Tour has proved to be a blessing in disguise; his legs and mind are fresh - with reputations meaning little to him. 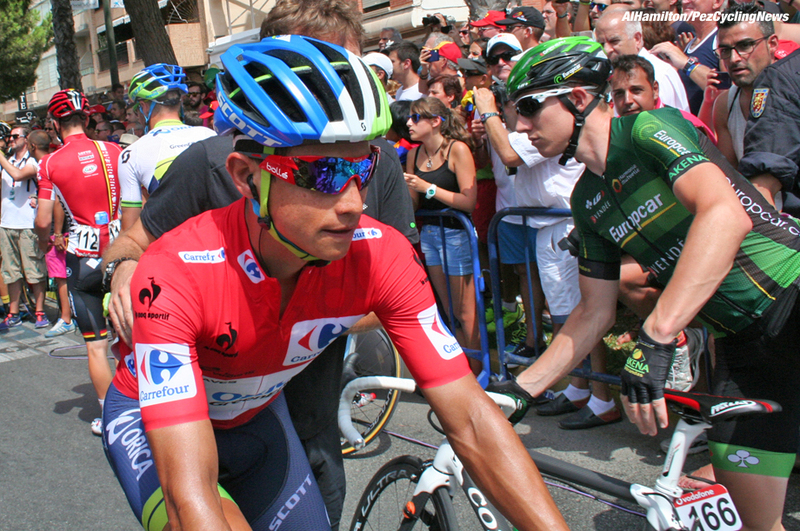 Chaves won the 2011 Tour de L’Avenir and in his first pro season, 2012 took the prestigious GP Citta di Camaiore and a stage in the Vuelta a Burgos. He looked destined for the top but a horrific crash in the Trofeo Laigueglia meant that season 2013 was a write off. Last season however saw stage wins in the Tours of California and Switzerland with this Vuelta confirming that ‘El Chavito’ could well be the ‘next Quintana.’ How he’ll fare when the really serious climbing begins is hard to predict but at just 25 years-of-age with two Vuelta stage wins and six days in red the future seems assured for the 1.64 metre, 54 kg. flyer from Bogota who sits third on GC @ 00:59 seconds on this rest day. 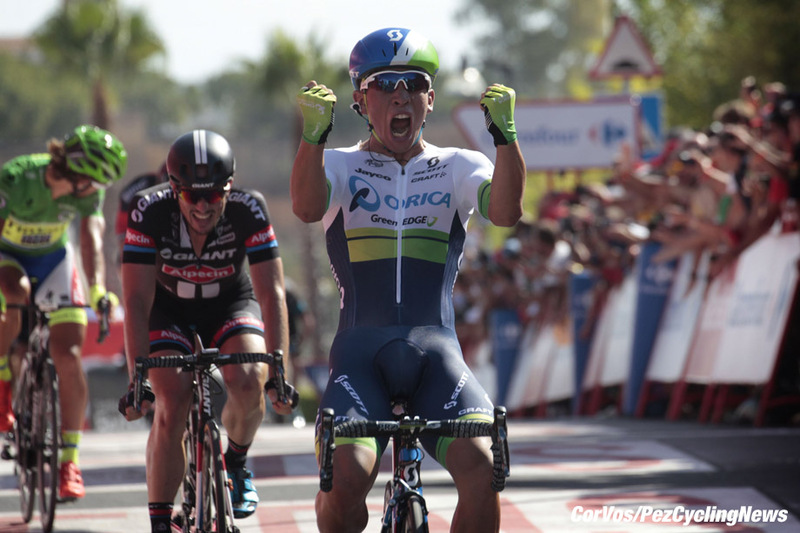 And it’s not just Chaves who’s been lighting the race up for Orica-GreenEDGE; Australian sprinter Caleb Ewan can now have ‘Grand Tour stage winner’ printed on his calling card to add to stage wins this year in Australia, Korea and Langkawi, not to mention the Vuelta Ciclista a la Rioja plus a whole stack of podium finishes from Norway to Turkey via Poland. 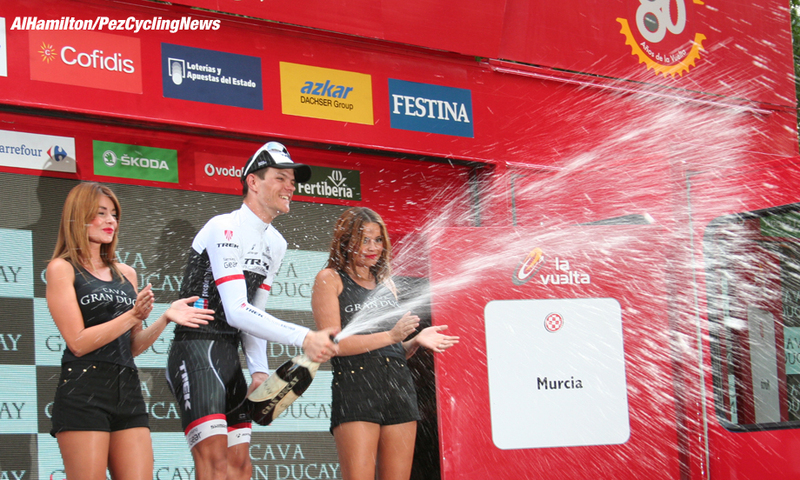 But back to Dumoulin and perhaps his strength on the climbs isn’t that much of a surprise when we remember that he won the King of the Mountains in the Ruta Del Sol back in 2013 and was fifth in the Tour de Suisse last year and third this year, taking both time trials along the way. The TT will be good for Tom, but the high mountains? As well as Chaves, Ewan and Dumoulin there were other additions to the stage winners roll call; and good to see Sagan among them but terrible to see him leave the race through no fault of his own - those motos should know better and riders shouldn't have to look back to make sure a motor bike isn't going to run them down. Bert-Jan Lindeman’s (LottoNL-Jumbo & The Netherlands) win from the break on Stage Seven was just reward for aggressive riding by the Dutch squad and it’s always good when the script is torn up and the ‘Bigs’ don’t swamp the breakaway. The 2009 World Junior Road race Champion, Jasper Stuyven (Trek & Belgium) showed grit as well as speed and class to take Stage Eight despite riding with a broken wrist - but once the adrenalin had stopped pumping had to do the sensible call it day rather than aggravating his injury. Jasper Stuyven... A big future? And those MTN boys just don’t quit; to add to Steve Cummings’ magnificent Tour de France stage win their Italian sprinter Kristian Sbaragli took Stage Ten of this Vuelta ahead of (very) fast man John Degenkolb (Giant-Alpecin & Germany). The 25 year-old from Empoli in Tuscany has posted some nice finishes this year with top ten’s in Kuurne-Brussels-Kuurne, Paris Camembert and the Surrey Classic to his name. Sbaragli is another man confirmed. And our predictions for the rest of the race? Rodriguez will have his day; Chaves could make it three stage wins – and let’s not forget that Dumoulin is one of the absolute best in the world in the time trial. . .
And I can also predict that here at PEZ we’re taking you all the way to Madrid; don’t touch that dial?